PHOENIX – After a season marked with catastrophic wildfires in the West, government forestry and conservation leaders in Arizona have accelerated a tree-thinning program in the Coconino National Forest. 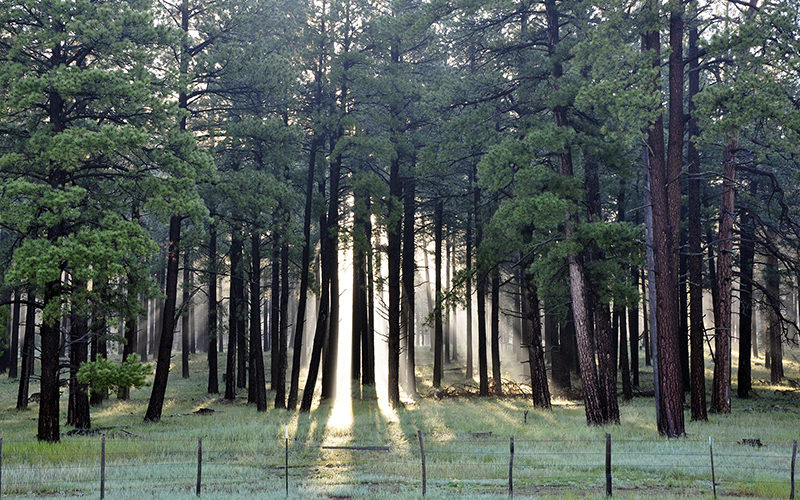 The partnership between the Nature Conservancy and U.S. Forest Service is supposed to jumpstart thinning under a Future Forest project, launched this fall with a 20,000-acre thinning project in the Kaibab and Coconino National Forests near Flagstaff. Arizona Republican Sen. Jeff Flake expressed his unhappiness with what he called a lack of progress at a news conference this fall. “We just need to move faster,” he said. Pat Graham, state director of Future Forest, said that the Nature Conservancy agreed to radically increase thinning under the program in what he called a “learning laboratory” for forestry in the Southwest. “We need to go from clearing 10,000 acres a year to 50,000 acres a year if we are going to meet our goal of thinning a million acres in the next 20 years,” Graham said. “We’re in a new era that demands efficiency and an accelerated response. Arizona water supplies and communities are at risk,” Cal Joyner of the Forest Service said in a news release. Under a contract with forest and timber company Campbell Global, the first trees were scheduled to be cleared in late November. 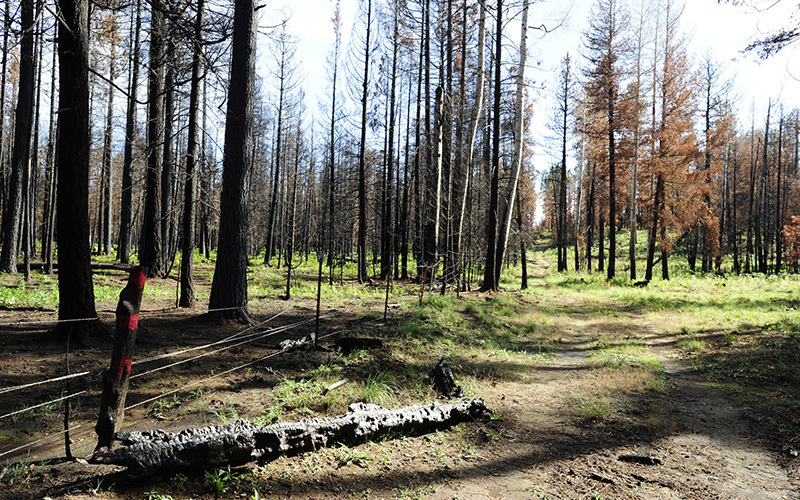 The program uses prescribed burning and mechanical thinning of younger, smaller trees, which are problematic and clutter the forest, creating conditions for wildfires, according to Graham and Neil Chapman, Northern Arizona restoration manager for the Nature Conservancy. In the past, trees to be thinned were marked with paint, but this method was expensive and time-consuming, Chapman said. This dated practice has been replaced with detailed maps on computer tablets. Sandy Bahr, Sierra Club Grand Canyon chapter president, said the group is wary of thinning projects that involve special interest groups. She also said that thinning projects should not be limited to Ponderosa pines but should consider the entire forest. By thinning the forest to a natural condition, runoff water increases by about 20 percent, according to Graham and studies by the Nature Conservancy.